Bell Blog: Read all about it! Read about museum research, our exhibits, stargazing tips, meet our amazing team, and more! 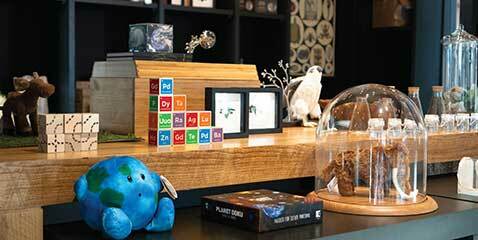 Find the perfect souvenir (or snack) for your inner science geek! We are celebrating the 50th anniversary of the Apollo moon landing with a year of special events, exhibits, guests, and educational opportunities. Our extensive online database merges data on birds, mammals, fishes, plants, and fungi. Take your place beneath the stars & name one of the seats in the exquisite Whitney and Elizabeth MacMillan Planetarium. 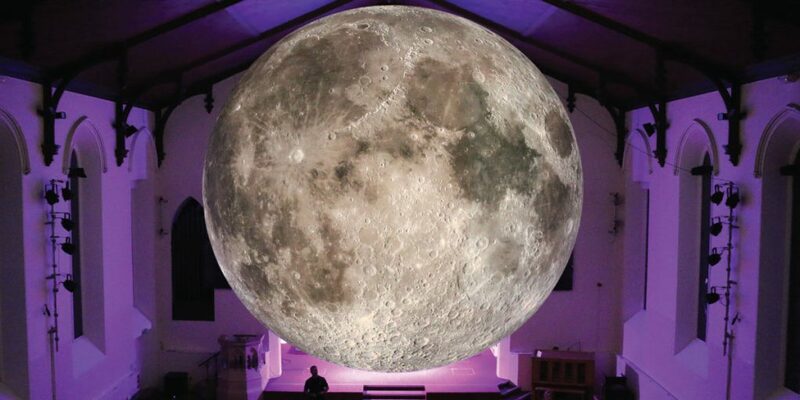 The Bell Museum’s Year of Apollo celebration of the 50th anniversary of the Apollo 11 moon landing continues with a showcase Museum of the Moon, by UK artist Luke Jerram. Our installation also coincides with the anniversary of NASA’s Apollo 10 mission that orbited the Moon May 18-26, 1969, the “dress rehearsal” for the first Moon landing. 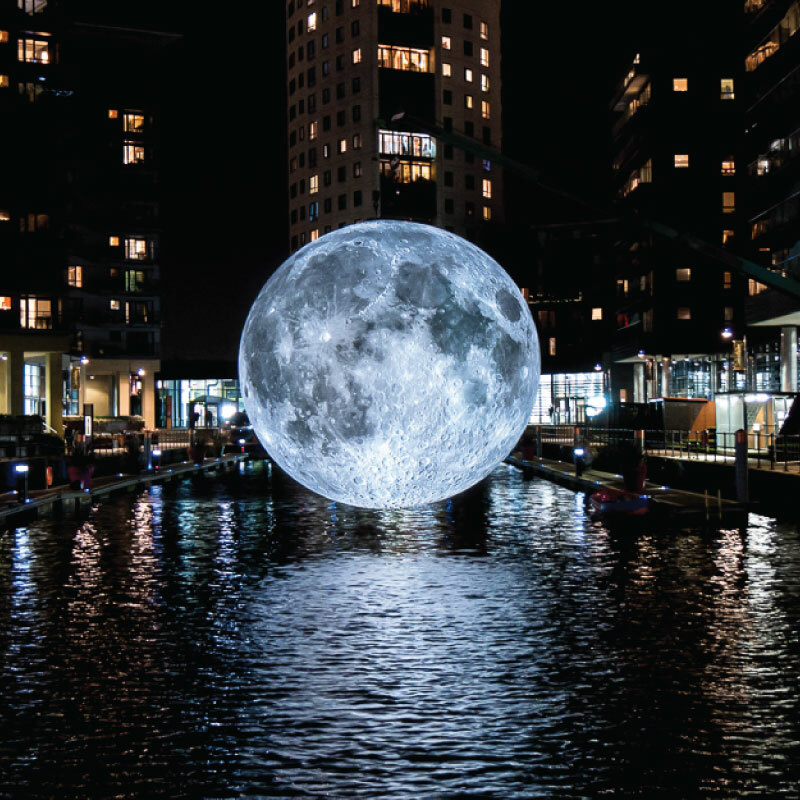 The seven meter spherical sculpture of Earth’s Moon is a fusion of NASA imagery, simulated moonlight and surround sound composition created by BAFTA and Ivor Novello award winning composer Dan Jones. At an approximate scale of 1:500,000, each centimeter of the internally lit sphere represents five kilometers of the lunar surface. Museum of the Moon will be suspended from the ceiling in Horizon Hall and have only a few feet between it and the floor. 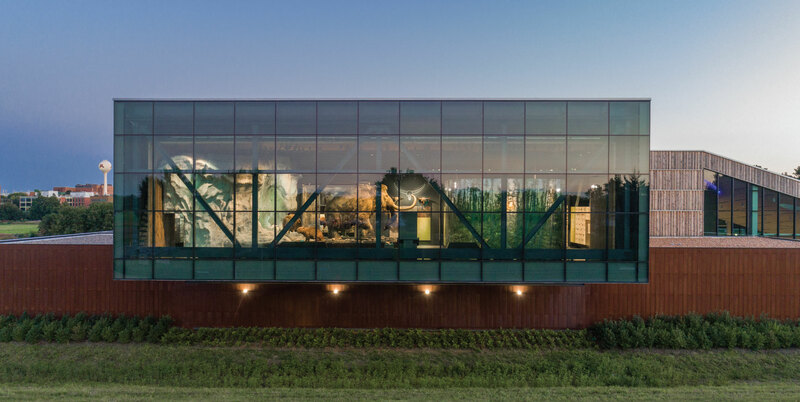 The artwork will technically be on view day and night thanks to floor-to-ceiling windows that flank the north and south ends of the museum’s large lobby. The massive 21 meter wide, high resolution image used for the sculpture was created by the USGS Astrogeology Science Center in Flagstaff, Arizona. The imagery was taken by a NASA satellite carrying the Lunar Reconnaissance Orbiter Camera launched in 2010. 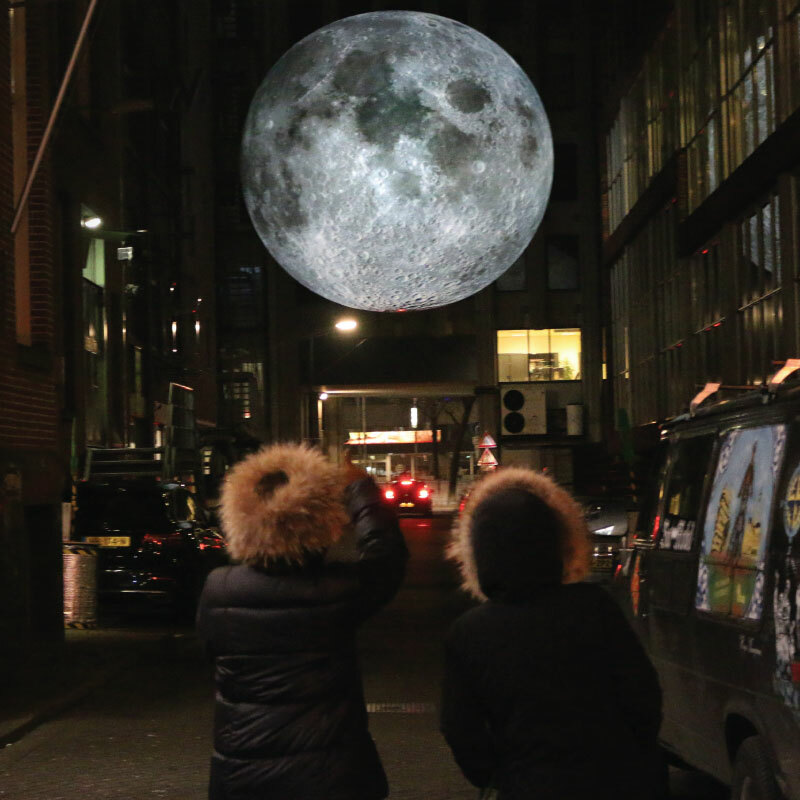 Museum of the Moon has drawn crowds in Iceland, China, Australia, Europe and the UK. As the stunning, internally lit sculpture travels the world, Jerram’s interpretation of the Moon has brought that moonlit inspiration a wide audience. Open a slideshow of the images in this gallery. Throughout history the moon has inspired artists, poets, scientists, writers and musicians the world over. Bell Museum visitors will have a chance to share that inspiration and enjoy regular moon tours, family-friendly storytime readings, and a variety of lunar-inspired programs that celebrate cultural perspectives, nocturnal plant and animal behavior and more. 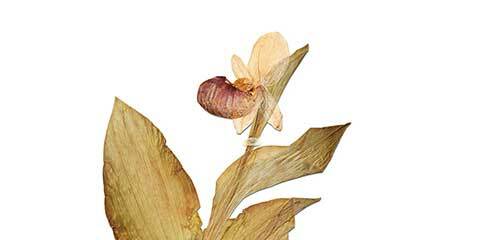 May 22 – Night Moves – Look into nocturnal plant and animal behaviors. A talk by University of Minnesota researchers Tom Gable and Joseph Bump from the Voyageurs Wolf Project will reveal what they’ve learned about the secret lives of wolves, including the first-ever video of a pack fishing at night in Voyageurs National Park. May 29 – Moonlit Memories – Bell Museum resident artist and poet Erin Sharkey will offer a reminder to look up as she leads an open writing workshop to reflect on experiences on Earth’s Moon and nature at night. 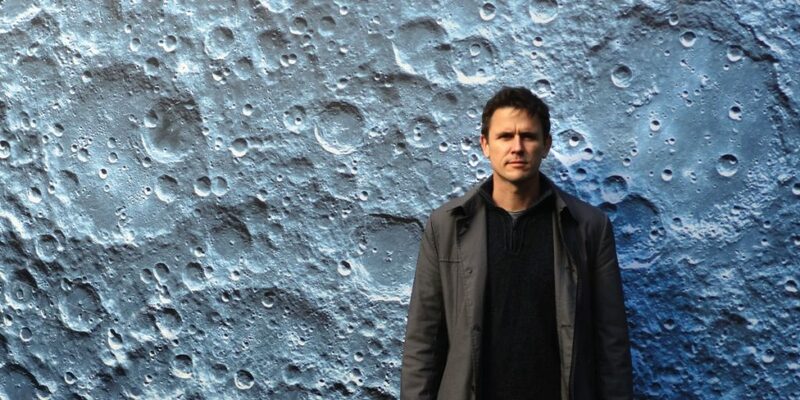 June 5 – Many Moons – Čhaŋtémaza (Neil McKay), University of Minnesota Dakota Language Specialist and Kaagegaabaw (James Vukelich), Minneapolis Public Schools indigenous linguist will lead a talk about indigenous perspectives of the moon. Give “moon salutations” a whole new meaning with an inclusive yoga experience in view of the stunning ‘Museum of the Moon’ installation. A family-friendly late-over at the museum. Pajamas are welcome and tickets include the ‘Museum of the Moon,’ entry to all galleries, a planetarium show, make-and-take space dioramas, and a moon cookie. The Bell Museum’s latest original planetarium production, One Giant Leap premiers June 8 and runs all summer long. 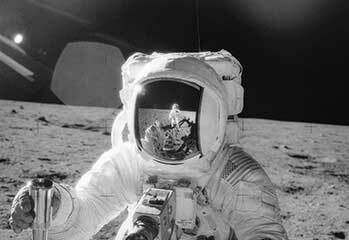 One Giant Leap puts audiences on the surface of the Moon with Neil Armstrong by transforming archival footage of the Moon landing into a 360 experience. 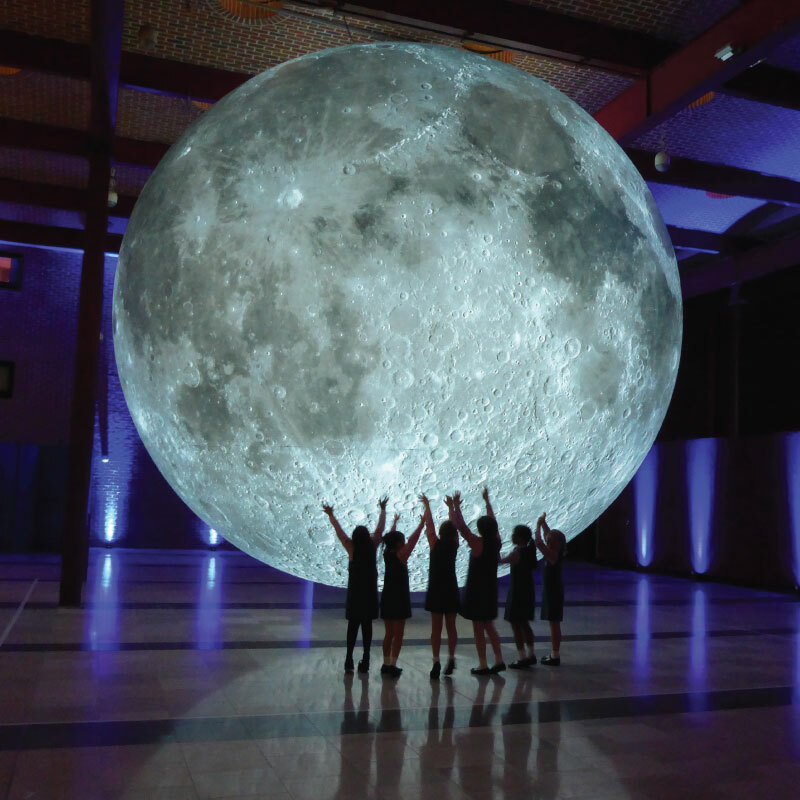 Museum of the Moon was co-commissioned by a number of creative organizations brought together by Luke Jerram and Norfolk & Norwich Festival. These include: At-Bristol, Kimmel Center, Lakes Alive, Provincial Domain Dommelhof, Brighton Festival, Greenwich+Docklands International Festival, Without Walls, Les Tombées de la Nuit, Rennes and Cork Midsummer Festival. The artwork has also been created in partnership with the UK Space Agency, University of Bristol and The Association for Science and Discovery Centres.